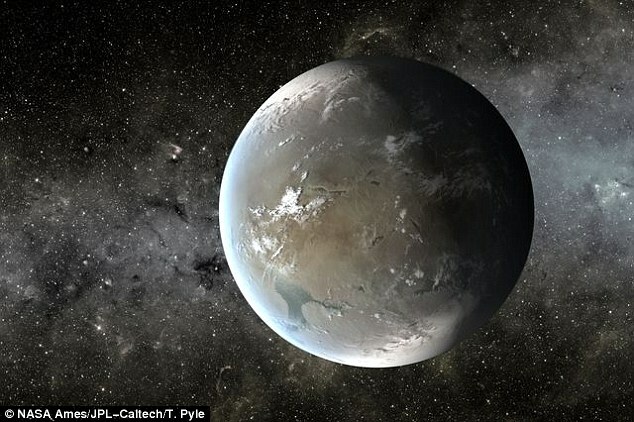 A planet which about 1,200 light years away from Earth and 40% larger than its size may be habitable, according to US researchers. Kepler-62f, which is in the direction of the constellation Lyra, is within the range of planets that are likely to be rocky and possibly could have oceans, scientists said. It is the outermost of five planets circling a star that is smaller and cooler than the sun discovered by the American space agency Nasa’s Kepler space telescope in 2013. Because of Kepler 62f’s distance from its host star, it would need the greenhouse effect of a thick carbon dioxide-rich atmosphere to keep its water from freezing, the research showed. However certain types of orbit could allow the planet’s surface temperature to rise above freezing at certain times of the year – even with much lower levels of carbon dioxide, closer to those found on Earth. “This might help melt ice sheets formed at other times in the planet’s orbit,” said Dr Shields. Only a couple of dozen are known to orbit the “habitable zones” of their stars, the narrow region just the right distance away to allow the existence of liquid surface water.